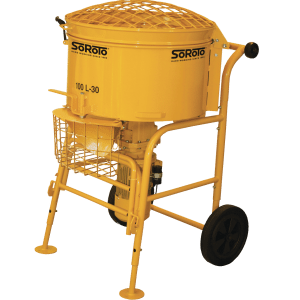 SoRoTo are the original forced action mixers and are still the best in the industry. 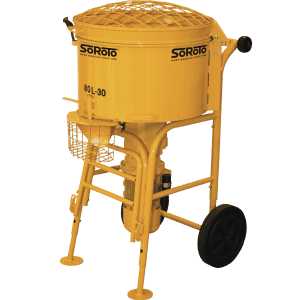 Suitable for almost any mixing jobs from Resin Bound Gravel to Wet Pour Rubber and Liquid Concrete, the 120L will perform fantastically on its first mix right to its last. The mixer performs so well thanks to its specially designed mixer arms that reach places other mixers can only dream of! Thanks to its single phase 110v/1.1Kw motor, delivering 30RPM the machine can last all day as long as the correct transformer is used, 32 AMP 5kVa Transformer. With adjustable front legs and a 120 litre mixing capacity, the 120L can be used for the biggest and most awkward of jobs. 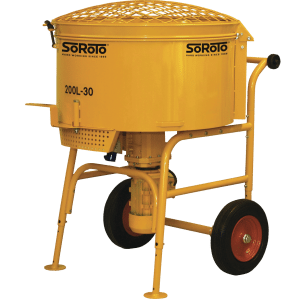 Along with other features such as plastic tyres, SoRoTo Mixers are the industry leaders due to their durability, innovation and ease of use. You can also choose rubber blade systems for mixing aggregates larger than 8mm, it can be purchased as default as well as an extra blade system. With service lives of up to 20 years, you can be assured that your mixer will not only perform well but will do so consistently for a long, long time. 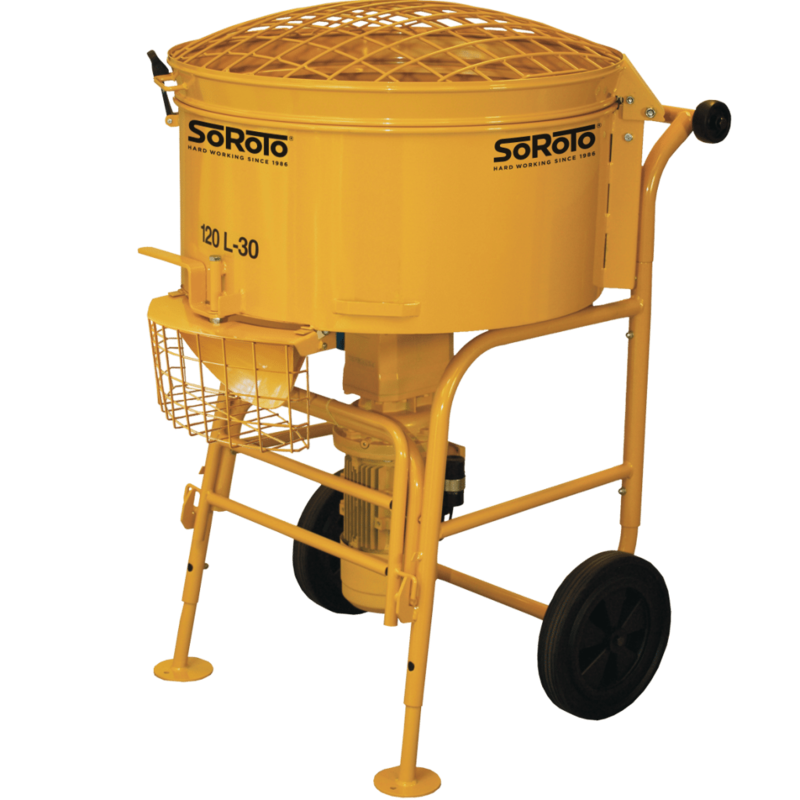 Should you have any issues with your mixer do not worry, as we are the UK’s only SoRoTo repair and service centre and can help you with any problems you do have. Give our specially trained staff a call on 01246 589010 to discuss your requirements.